Stress Away essential oil is a relaxing scent that smells primarily of vanilla and lime. It is true to its name – it takes the stress away! Here are 15 fresh and fun ways to use Stress Away. What is Stress Away Essential Oil? Stress Away is another one of those oils that you can pretty much figure out what it’s good for by reading the name of it. Stress Away can even be used topically, and aromatically. It is a blend of Copaiba, Lime, Cedarwood, Vanilla, Ocotea, and Lavender essential oils. Diffuse, wear it or smell directly from bottle to relieve stress. Put a couple drops in Epsom salts to make a bath soak to relax after a stressful day. Put a drop on your thumb then put your thumb on the roof of your mouth to calm down immediately. If you want your house to smell like a bakery, add a few drops of Thieves and Stress Away in your diffuser! Put 1-2 drops on the back of your neck and temples to minimize stress. Put the roller ball you received in your starter kit directly on this bottle – apply liberally on neck, temples, wherever needed. To help with nervous tension, it’s best to apply to your wrists & back of the neck. Who doesn’t want help relaxing? Diffuse a couple drops of this in your diffuser for a wonderful scent that helps ease relaxation. Those moments of abnormal sleep? Diffuse or apply topically to reduce stressors so that normal sleep patterns can be maintained. Put 2-3 drops of orange and 2-3 drops of Stress Away in your diffuser and you’re in a for a great smelling, uplifting scent! Use to add fun & fresh flavor to your tea: Put a drop of Stress Away in warm water with honey to give it a fun flavor. Pineapple Stress Away Smoothie: 1 cup of frozen pineapple, 1/4 cup orange juice, 1/4 cup milk, and 2 drops of Stress Away in a blender and blend until smooth! 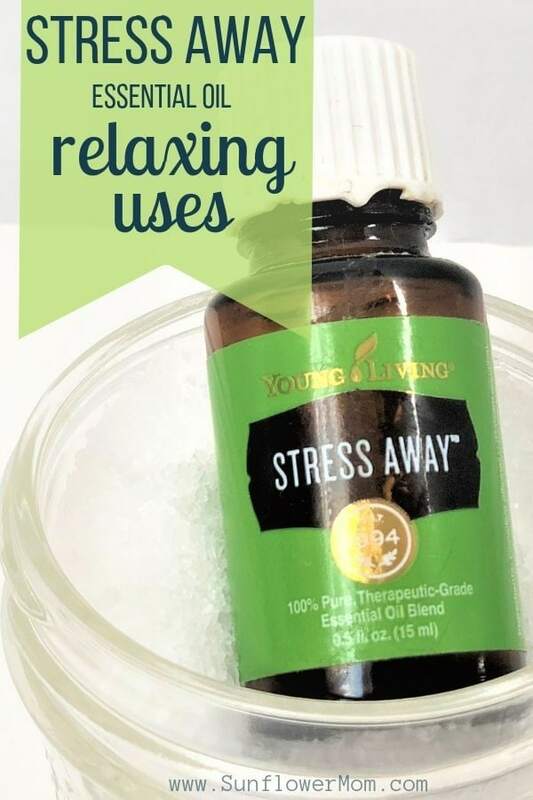 Young Living’s Stress Away Essential Oil is one of the most popular oils in the starter kit. You can become a member of Young Living and get all their benefits and a full starter kit or just a bottle of Stress Away when you sign up as a retail customer. There are many other uses for Stress Away essential oil. Share yours in the comments!